Paul Davis On Crime: Defense Intelligence Agency Report: Russia, China Undermining U.S.
Defense Intelligence Agency Report: Russia, China Undermining U.S. Veteran national security reporter Bill Gertz offers a piece at the Washington Times on the Defense Intelligence Agency’s report that Russia and China are actively undermining America. ... The report did not provide details of the growing military ties. 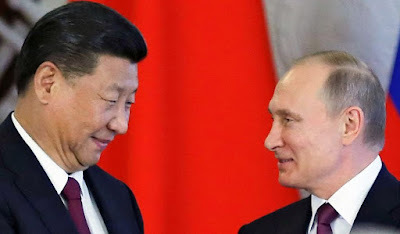 But a separate report published in March by the congressional U.S.-China Economic and Security Review Commission reveals that the closer ties include increasingly complex Russia-China military exercises and sales of advanced weapons. That report warns that the joint cooperation has important strategic implications for American security interests in Asia.